The CEO of Samsung Electronics' Information Technology and Mobile (IM) division Dong-Jin Dong promised to start introducing features previously reserved for its higher Galaxy S and Note lines downstream. The move will aim to bridge the competitive gap of its midrangers and set them apart in emerging markets where they are facing tough competition from Chinese brands. We already saw this strategy bear fruit with the announcement of Samsung's first triple-camera phone - the Galaxy A7 (2018) - an option that will reportedly be available on an upcoming Galaxy S10 version, albeit with different camera specs. Now, the attention turns to wireless charging. 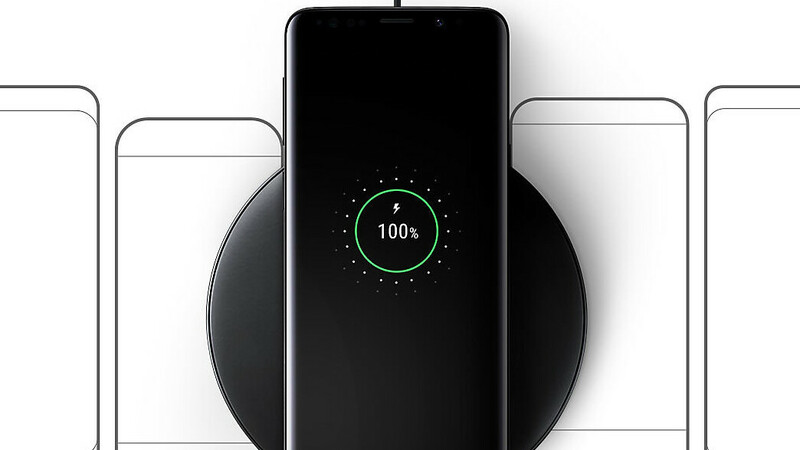 While Samsung declined to comment on upcoming phones, an official has cited "universalization of wireless charging function" as the next feature in line to move from the top-end to the midrange. In Samsung's portfolio, these are the Galaxy A and J-series, and a report that the company is prepping to release a much cheaper wireless charger only pours more water in that rumor mill. Currently, the Duo charger and the stand go for 89,000 won and 60,000 won in Korea, respectively, but the new entry-level charger will be just 20,000 won (<$20), hinting strongly that Samsung may indeed be trying to bring wireless charging mainstream to its more affordable handsets. Given that this is the price of Chinese chargers that are a dime a dozen these days on Amazon, you might think that Samsung will cut corners with the upcoming affordable charger's abilities, but that won't be the case. It's reported that it will use the same transmitter module, supplied by Chemtronics, that it uses in its more expensive chargers, and the cheaper pad will still retain a 10W output. That's certainly great to hear, and Samsung has an event scheduled for later this month where it is expected to unveil new midrangers, so we'll be all ears if those will have wireless charging coils built in, and an affordable charger to go with them. So you're just going to copy and paste your same nonsense to every samsung article today? Yep he is He is the only fool here. This will be a big seller. Cheaper than the 2m iPhone USB-C to Lightning cable and almost identically price to the shorter one....except charge pad included. Airpower probably won't ever come with these types of products making to market.